Facebook and Instagram have been the channel of choice for the leaders in ecommerce over the last few years due to Facebook’s top-tier ad targeting. With Facebook and Instagram ecommerce marketing teams can easily test new ad targets within minutes for less than $10. Rapid testing in this way has allowed many ecommerce companies to hone in on and identify their most profitable audiences. As Facebook and Instagram ads continue to grow in popularity it has become more important to not only test and improve upon your audience targeting, but creating the ads themselves. Discovering great copy, imagery, and CTAs require countless tests to uncover. By following our steps below you can cut down on your testing time and ad spend. Before you begin creating your campaigns, first make sure you’ve installed and fully integrated your Facebook Pixel. The pixel is absolutely necessary in order to create highly profitable ads on Facebook and Instagram. Use this guide to set up your Pixel if you haven’t yet. Facebook tracks everything. They know your favorite websites, products you’ve purchased, your shopping behavior, how many credit cards you have and they even have a good idea of your yearly income. Which means they have all of that same data for all of their other users. The best part? They allow you to tap into that data to create targets for your ad campaigns. When getting started with your campaigns you’ll want to keep things basic. Typically you have a decent enough understanding of your general audience and things they’re interested in based on the products you’re selling. 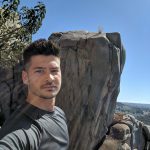 For example, if you’re selling running attire then your audience most likely follows a variety of Facebook Runner community pages, Nike, GymShark, Health Magazines, etc. You can use the search box in the “Detailed Targeting” section to find interests to target, or you can use the browse function to the right side of the search box, but that’s more limited. Target those interests in your ads, the more the merrier. Beyond interests, Facebook has a pretty good idea of how you’re behaving online. Things they track include your spending habits, where you travel, the devices you use, and even when certain life events will occur (such as anniversaries). In addition to targeting people interested in your industry, it’s best to target those people who are also known to frequent online shoppers. 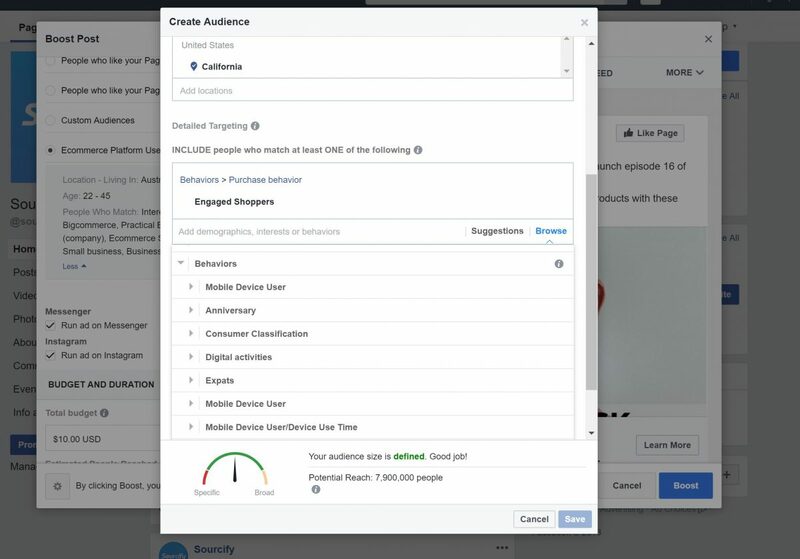 To view behavioral targeting scroll down to the “Detailed Targeting” section of the Facebook Ad builder and click “Browse” on the right side of the search box. Otherwise, you’ll end up including people in your audience that rarely shop online and when they do it’s typically for products they’ve already purchased in the past making it very difficult for you to capture some of their online purchasing power. 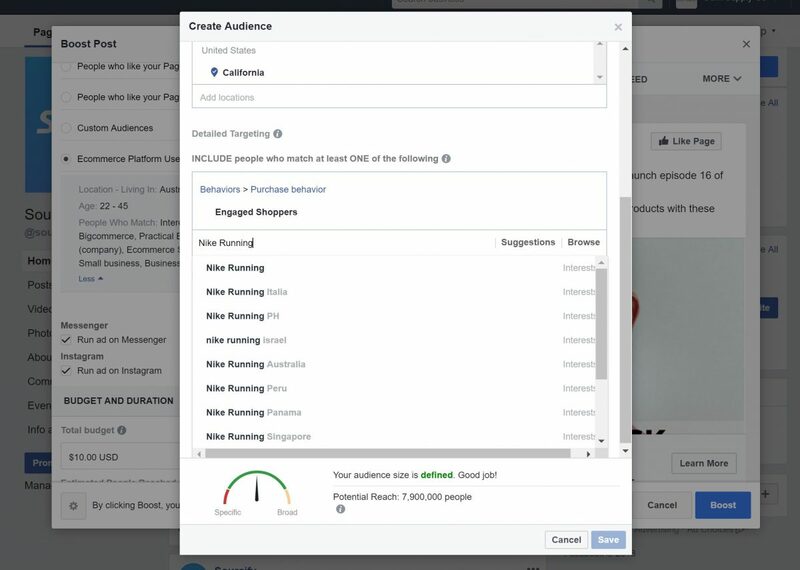 After running your first set of ads, Facebook will allow you to create a look-alike audience based on a variety of different actions your users have taken on your website. With the Facebook Pixel you’ll be able to collect data on the users that have made the most purchases, made the largest purchases, shared the most products, and much more. With that data you can target other people on Facebook that share the same interests and behaviors as your favorite customers. Lookalike audiences are extremely effective as they allow you to really focus your ad budget on those who are most likely to buy from you. Creating greats ads takes time, you need good imagery, great copy, and excellent CTAs. It doesn’t matter how well thought out your audience targeting is if you skimp out on the ad creation process itself. It’s said that the average consumer reads at an 8th grade level, and they spend less than a second per post as they scroll through their feeds. That means your ad copy needs to be as clear and concise as you can make it otherwise they’ll skip right over it. When writing copy avoid being overly witty or detailed. This is an ad, not a landing page and the goal of the ad is to grab just enough of their attention to get them to your website – nothing more. In Monday’s ad above it’s completely clear as to what they’re offering within a second of seeing the ad. 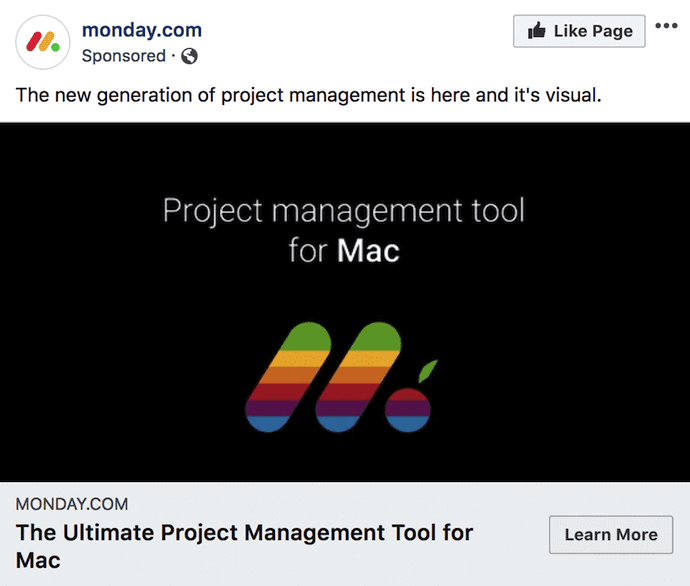 It’s an improved project management tool for the Mac and reading the ad further I assume it’s a really pretty and clean tool to boot. Why is this a good ad? It’s super simple and easily understood immediately. They didn’t go into detail or include a large wall of text describing all of the details of their tool. That’s not very exciting at all and you no longer need to visit their website because they’re offering exactly what every other tool is offering and even if they are better they don’t sell it that way in the example copy. Another great example of good ad copy is actually using something someone else wrote for you…testimonials from your customers. 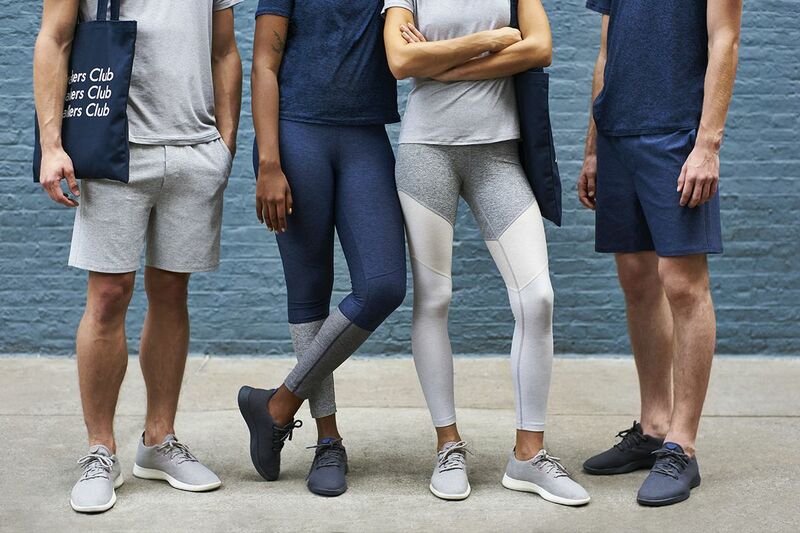 Allbirds does just that with their shoe ads. They kept the copy simple, clean and straight to the point and they point out that there is minimal risk for buyers with the “Free shipping and free returns” copy inserted at the end. Images are the first thing your customers will see when they’re briskly scrolling through their feed to check out the Cranberry Vinaigrette Salad Nancy had for lunch today. At a minimum your images should be high enough quality to appear sharp on a 2k screen, Facebook and Instagram provide image size guidelines within their campaign building tool – use them. When looking for images to include in your ad make sure it clearly relates to the copy you’ve written for the ad. Images should be easily digested in an instant the main content of the image should be either the product you’re selling or related to the interests of your target audience. It’s been found that images of happy women or images that include a headshot tend to generate the highest click through rates. Try to use images that include people as often as possible if it makes sense for the products or services you’re selling. Even if you provide great ad copy, if you don’t provide a next step for your audience to complete many of them won’t take a next step at all. Facebook has simplified this process by including CTA Buttons on their ads automatically, just make sure you’re selecting the appropriate button copy for the action you want the customer to take. If you’re selling a product then you’ll most likely want to use the “Shop Now” CTA button. In addition to the CTA buttons it’s usually best to include more detailed and enticing CTAs whenever possible, especially if you’re running timed sales. A CTA such as “Order your next pair of shoes by Monday to save 50%!” would be a great way to get customers to make their purchase decision quickly. After a user clicks on your ad they should arrive on a highly relevant landing page, in most cases the landing page should be custom built for the ad campaign or it should be the page of the exact product shown in the ad. Landing pages, like ads, should be simple and easily understood immediately. The average customer spends no more than 3 seconds on a website before they decide to leave. You don’t have a lot of time to catch their attention and get them to convert. If the pages your customers are landing on are poorly put together it’s going to cost you in additional ad spend. Often times you’ll come across ecommerce sites that try to win the SEO game by including every keyword they can think of in their product titles. Don’t do this, it only confuses customers and it doesn’t look very clean. Instead, name your products as minimally and accurately as possible so that customers can get a good idea of what they’re buying quickly. Go into the minute details in the product description section instead. When a user lands on your product pages after clicking an ad they should be provided with all of the relevant and necessary information they need to make a purchase without having to scroll down. If crucial information, or say they Buy button is below the fold you will lose out on 10-20% of your potential sales. People have minimal patience when it comes to their website interactions. 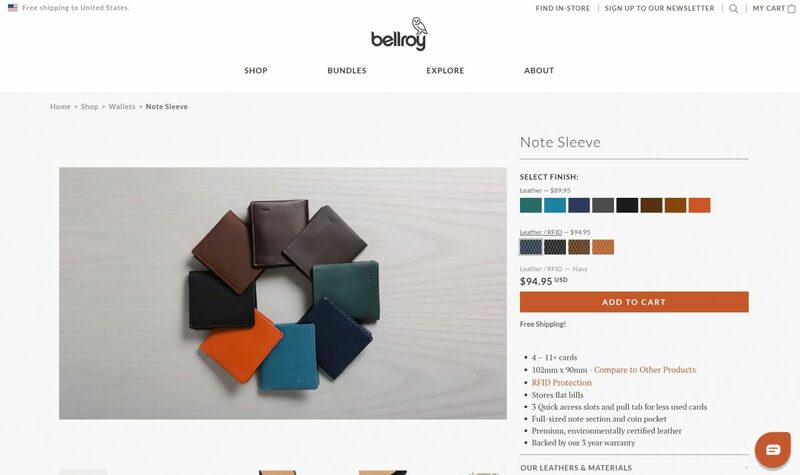 Bellroy has very well designed product pages that provide you with all of the information you need in order to make a purchase, including a product video demonstrating how their wallets work. The “Add to Cart” button is located on the right side center of the page making it impossible to miss. High Quality Imagery is a Must! In order to maximize your profits from ad campaigns you’ll need high quality images on your product pages. Its been found that high quality and clear images boost sales by almost 30%. Make sure you have enough product images to accurately depict your product. Remember, these customers won’t be able to test your products before they purchase them like they can in a retail store, that makes this a risky transaction for the buyer. 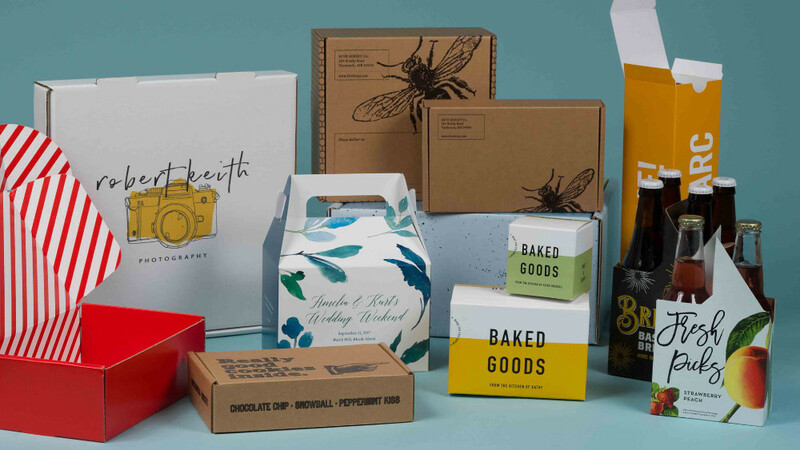 Provide them with as much detail as possible with product images to help them trust you and your products. It’s inevitable that a majority of your customers won’t make a purchase right after clicking your ad, but that doesn’t mean they didn’t like your products. In many cases the customer decides to wait to either find a better deal on a similar product, wait for payday, or just need time to do some research before pulling the trigger. To improve the conversion rates of your ad campaigns on Facebook and Instagram you’ll need to set up retargeting campaigns to focus on those users who got close to making a purchase. Facebook, with the use of the Pixel, allows you to target users who did things such as added a product to their cart and spent a certain amount of time browsing your offerings. With your retargeting ads you’ll want to focus on those users who were near the end of the purchase funnel for specific products. General retargeting isn’t nearly as effective as retargeting users based on the exact products they added to their cart. Using your customer’s shopping cart data from your Pixel, create highly customized dynamic ads to keep your products at the top of the mind of your lost customers. 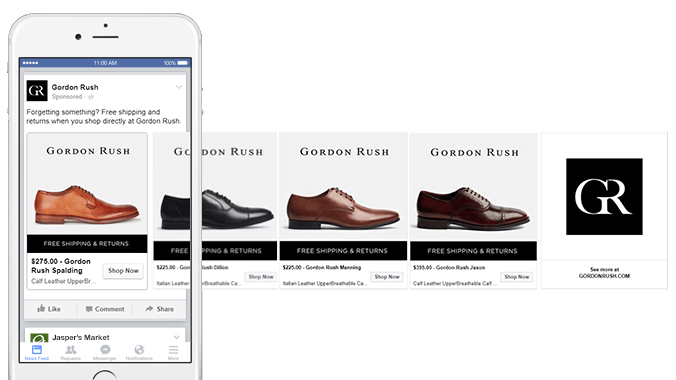 For example, Gordon Rush, a high end business shoe retailer, uses targeted ads on your social feed to remind you of the products you left in your cart. Running these ads for the next couple of weeks up to a month will help keep your products in front of your potential customers. However, retargeting your customers for too long may cause frustration and become annoying so make sure your ads aren’t overbearing. The only way you’re going to maximize the profits generated by your ad campaigns is to test them continuously. There is no such thing as a perfect ad and you can always find ways to improve your CTR, conversion rate, and average order price. Facebook offers internal A/B testing tools to help you compare ads 1:1 which is a great way to test copy and imagery. In order to get the most from your tests make sure you’re only testing one element at a time, if you test all new ad copy, CTAs, images and landing pages at once it’ll be much harder to narrow down which element actually led to better performance. You can do the same type of A/B testing with your product and landing pages as well using tools like Google Optimize and Optimizely. These tools make it easy to test product names, page layouts, button colors, and product images. Test each element on your landing pages individually to get the most out of your paid traffic. Once you get the hang of utilizing proper ad testing techniques you’ll be well on your way to creating highly profitable and engaging ad campaigns.